S5 New Poster. It reminds me of Kutner!. HD Wallpaper and background images in the House, M.D. 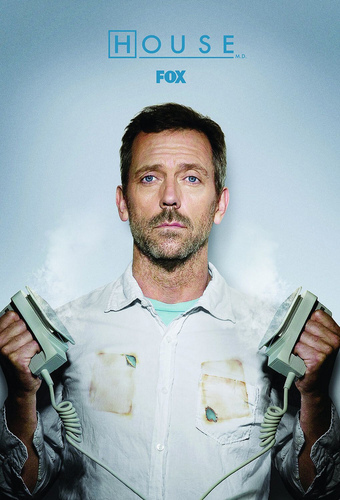 club tagged: house house md season 5 promo poster. It reminds me of Kutner! This House, M.D. photo contains rifleman, kijani beret, vikosi maalum, askari wasomi, askari wa wasomi wa green beret, vikosi maalumu, vita mavazi, and mavazi ya vita. There might also be workwear, tabard, navy muhuri, muhuri, and muhuri wa jeshi la majini. He's imitating Kutner, jaja, but I like that picture. I love the season 5 promo posters. So damn hot!